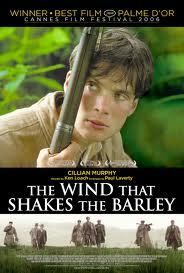 This entry was posted in Actors, History, Irish Civil War, Irish War of Independence, Movie, Recommendations, Reviews, War Movie and tagged Brothers, Cillian Murphy, History, Irish Civil War, Irish War of Independence, Ken Loach, Movies, Pádraic Delaney, Recommendations, Reviews, The Wind that Shakes the Barley, War Movies. Great review!! you said it better than I am. Every country who had suffered coloniallism can totally realte to this movie. I don’t blame the British Army or goverment, it was something in the past. What I like the most about this movie is how it deeply shows the agony of war, brothers can easily become enemies. Thanks for your nice comment. I do hope that my blog can help to understand these things better. It is only through awareness that we learn to understand each other and that things can change eventually. Maybe you can review one of Indonesian war movies in the future 🙂 tho I’m not sure you can find it in Europe. I would love to do that. If you could tell me some names? Then I could try to find them. Try finding Cut Nya Dien, staring Christine Hakim. It is the best Indonesian war movie, in my opinion. Thanks a lot for this suggestion. I will try to get it but I am afraid it will not be easy.